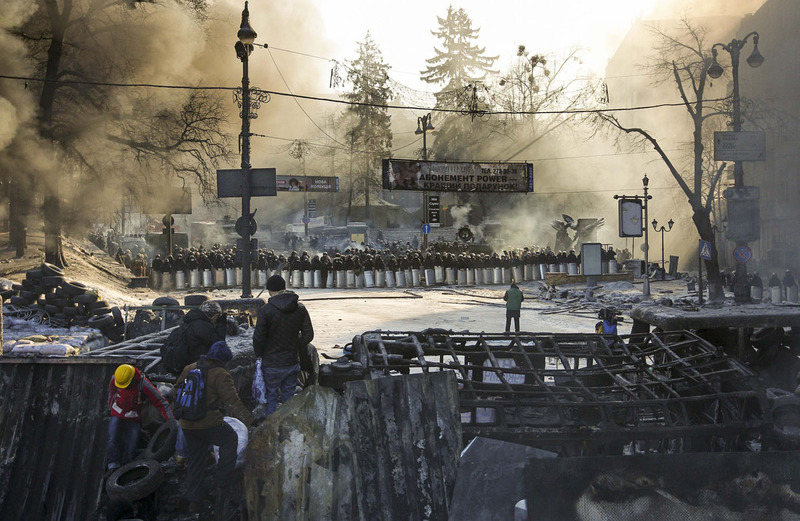 Why do the photos, video, and tweets out of Kiev have such mythic power? Why do demonstrations, and barricades, and people shot down, young and old, men and women alike, wring such enduring emotion (like Les Miserables)? Why do citizen risings in big, capital cities have such a hold on us? For a start, citizen-risings in cities are not war. Even when there is lots of fighting, it is never a fair fight, and we are rooting for the underdog, where the force against them is always unfairly superior, professional, and heavily armed. Plus a group of poorly armed citizens are unlike an army in almost every way. But especially this way — Together, they are the whole community: Men, women, and children fighting together. Their backs are against the family hearth itself. Nothing could be more existential, or more motivating. As we try to make sense of the events in Ukraine, this new short essay from Michael Vlahos at the Library of Social Science's website is helpful. The Library of Social Science provides book reviews and essays on international relations, history, and military affairs with a focus on ideology and collective psychology. 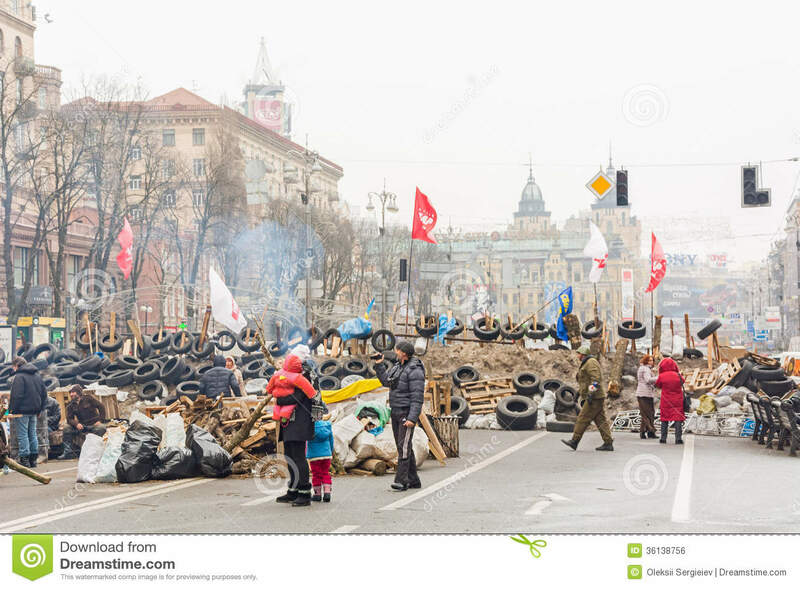 The reaction by the leadership class in those respective countries to the uprisings across the Arab world, and now in the Ukraine, has left me wondering the following: why didn't said governments unleash massive and quick violence upon the protesters/rebels before the latter had a chance to coalesce and win public support? In an alternate reality, one in which I am part of the leadership cadre of an authoritarian or dictatorial regime, I would have ordered the protesters immediately wiped out if I was unable to either cooptate or discredit them. However, matters are not so simple. As the world saw in Egypt and elsewhere, the use of State violence against its own citizens is limited by a paradox: the State has a monopoly on violence in theory, but in practice the State is limited in how it can use violence if its leaders want to stay in power. The protests in Kiev were an example of politics at its most basic form: are a given people willing to die and fight in order to advance their policy goals? Violence and mass protest is often seen as a "failure" of politics from more traditional liberal-democratic perspectives. By comparison, I have always believed that violence was the quintessential political act. 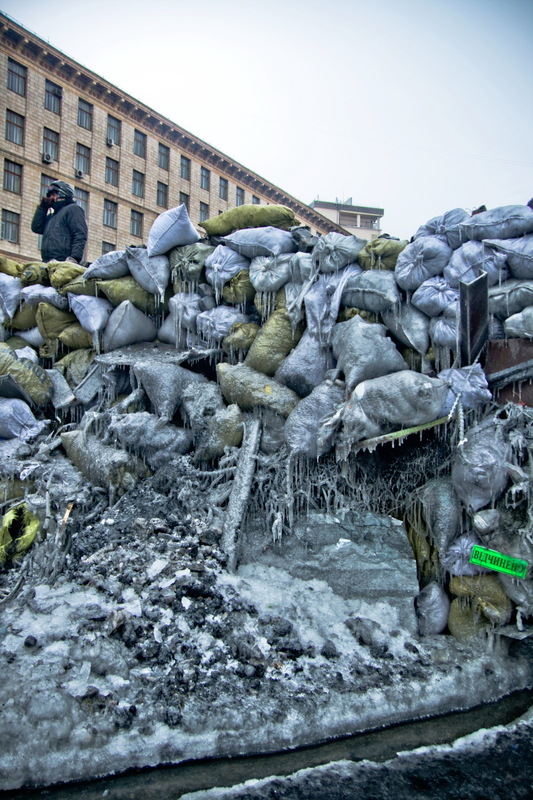 The people's uprising in the Ukraine provided post apocalyptic dystopian visuals that were a mix of the medieval with the near futuristic and science fiction-like such as when homemade armor and Molotov cocktails were used against armored vehicles as the latter rammed improvised battlements. Yet the mission of the citizen rising, though existential, is never hopeless, because the citizens know they can win through martyrdom. The operational goal of the barricades is to successfully repel the armed might of the state — but the strategic goal is to overturn (or at least compromise) the very legitimacy of the state by forcing it to kill large numbers of its own citizens. This is why putting down a citizen rising is so risky for a state regime. It is risky on two levels. On one level, soldiers will try to break down barricaded positions by killing civilians, reasoning that bravado — and thus resistance — will melt away as people see friends and family killed in front of them. But this is the secret of community martyrdom: It cements social bonds stronger than any glue. In Kiev we have seen acts of heroism and sheer courage that convention typically associates only with soldiers in battle. Like the woman who tweeted after being shot in the neck, we have felt heartrending moments of pathos. Truth is, a citizen rising that survives its first casualties (or atrocities) becomes potentially as strong as any army in any prepared, defensive position. Its barricades then suddenly are splendid field fortifications, the righteously occupied city blocks and squares like immoveable castles of concrete, rubble, and rubber. Moreover, a state that would wantonly kill its own people is not simply guilty of crimes against humanity: It is guilty (at least incipiently) of attempting to kill itself. The state regime that will crush a citizen rising will also die if 1-If the injustice of state against citizen is real and deep, 2-If violence against protesting citizens was initiated by the state, and 3-If initial waves of citizen-martyrdom begin to psychically strip the state regime of its legitimacy. 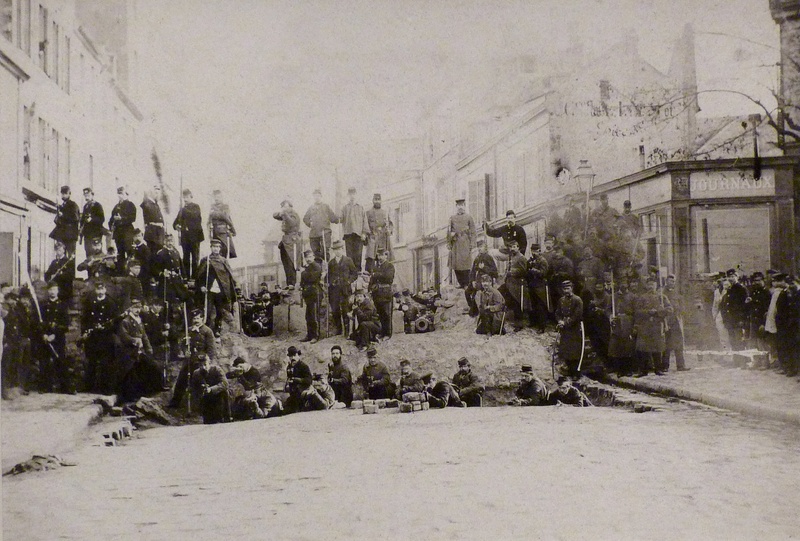 Loss of legitimacy can be tracked through 1-How a “big push” to take the barricades fails extravagantly (and is covered extravagantly), 2-The rising spreads to other cities, 3-Police (or whole units) begin to join the resistance, 4-Regime elements (most especially the leader) leave the city, 5-International condemnation and regime sensitivity to it. 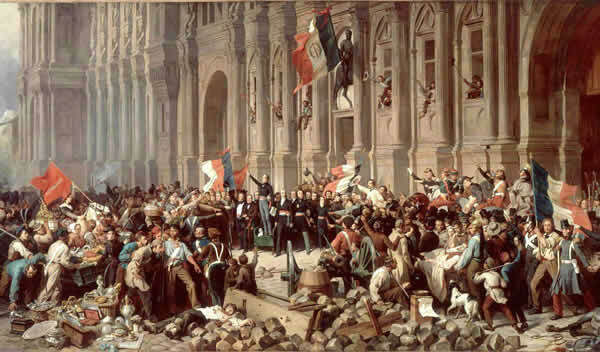 What type of leader would you be if faced with a citizen uprising? And is it not one of the genius level ploys of the elite class in the United States, that they have been able to use violence against the American people through mass incarceration and programs such as Cointelpro, while also maintaining high levels of legitimacy as propagandized and effected by a mass media which does not expose how the corporateocracy is anathema to the freedom and liberty of the majority of the country's citizens? One of the lessons of post World War 2 American democracy--especially in the present neoliberal order--is that American political elites do not have to shoot people dead in the street when they can give them the illusion of freedom and other distractions which are access to cheap consumer goods, the drug that is White Identity politics, and other opiates. Rising up against an Orwellian regime that kills, maims, and burns books is tough, but doable. Rising up against a Huxleyian regime that can cook, clean, and is a devil in the sack, not so much. Are you peeping in my bedroom window again? Next time just knock on the door. Huxley or Orwell? Which are we living in? What kind of leader would I be? I would be a listener, but I can only listen to so much BS. Our constitution has everything a populist movement needs to succeed, it's all about power. If they really couldn't handle the policies I had, as long as they didn't violate the constitution, they have to wait. Yes it is pure genius how our system works... one that could only have been concocted by a mad scientist. I'm with Huxley. There were plenty of people who lived outside of the system fabricated in Brave New World. Where were they, why were they there, what would happen to them if they rebelled? Remember, their people were heavily monitored also. I was at a vets office today, and a man said he thrived on B's and C's, but he had common sense which is lacking today. best to keep them stupid and compliant. To the libertarian, hierarchical mind, its all about the right people being in the right places, not necessarily an individuals incentive to achieve, "too many people going to college and getting the wrong degrees."